The CH beta website has an issue (I've reported there also) with HTML escaping of some characters in company names in the search list pages. (This doesn't affect the API which reports the underlying data correctly in both). Shows as M&M PARTY PACKS "EXCLUSIVE PARTY SOLUTIONS" LTD in search but M&M PARTY PACKS &QUOT;EXCLUSIVE PARTY SOLUTIONS&QUOT; LTD (correct) in profile. 07657267 - JW INSTALLATIONS &AMP; TEST LIMITED appears as JW INSTALLATIONS & TEST LIMITED in search. 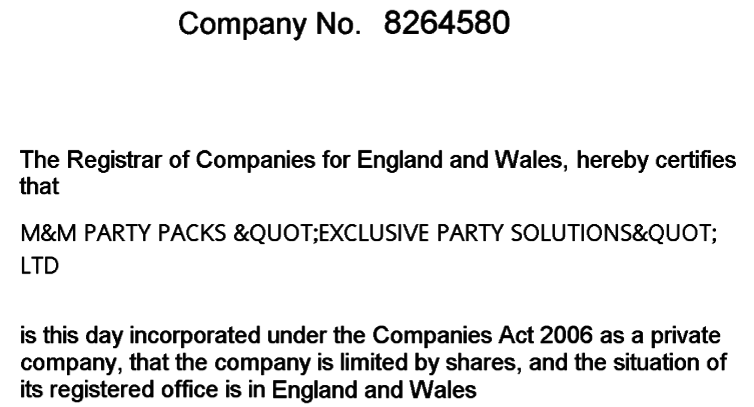 There is 7074667 - ASPIRE CHILDREN&APOS;S SERVICES LIMITED - which appears correctly in both (' was not in HTML4 but apparently in HTML5 and possibly XHTML / some XML?). 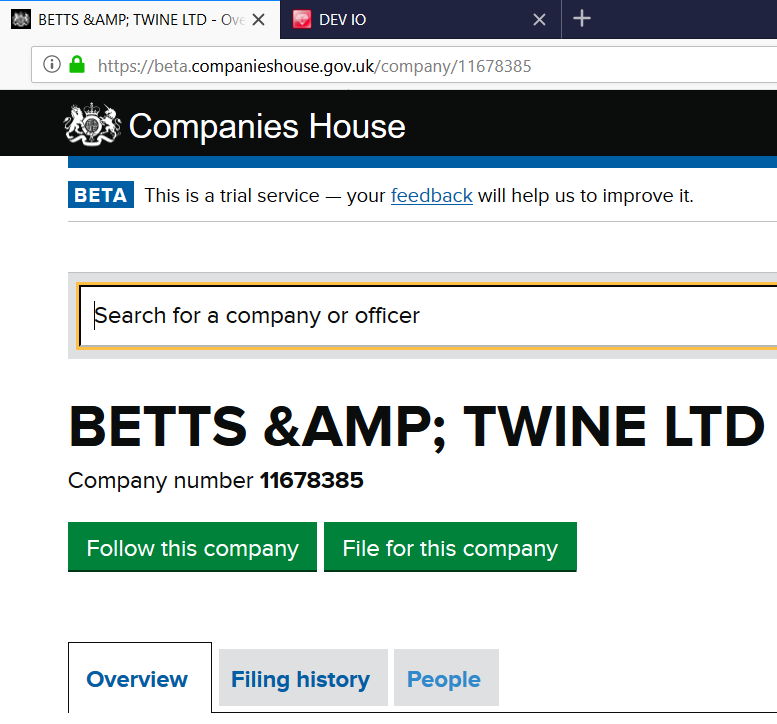 For what it may be worth to those investigating, we receive our core data as bulk product and BETTS &AMP; TWINE LTD appears in the original raw text AND on the Incorporation Certificate so it looks as though the issue (if it is one at all) starts well before the Beta website sees it! So far, I have only found 11338331 - COCO &AMP;AMP; ROX LIMITED as an extant example (incorporated on 1 May 2018 with a matching certificate) in our dataset. No doubt CH will resolve these with the Companies / Formation Agents concerned and formal name changes will follow on if appropriate. It is just possible that either or both are deliberate use of "special" characters. My main point was that Beta search needs some character escaping! As @frank said it looks like CH and or the company owners themselves are resolving these "literal HTML escapes" over time. Most companies affected have been renamed and / or dissolved / ceased. I would imagine most - if not all - were unintended but they were registered with the odd character sequences #. Hello, I keep noticing company addresses that are obviously incorrect. 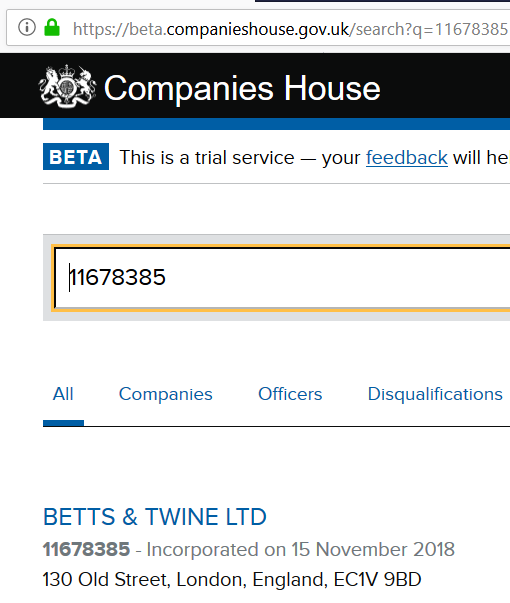 eg: https://beta.companieshouse.gov.uk/company/11453238 or https://beta.companieshouse.gov.uk/company/11458086 How is this happening? Is there something in the registration process that is confusing people or is it on CH's side? I haven't gone through the registration process myself but I can't see how a director can enter their company address so incorrectly as above. (Not to be down on humans - even now people can still compete with machines in the field of error).